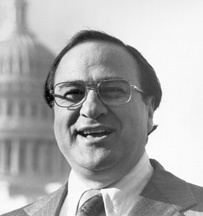 James George Abourezk (born 1931) was the first Arab-American elected to the United States Senate. I marveled at the Hezbollah resistance to Israel . . . It was a marvel of organization, of courage and bravery. The Arabs who were involved in 9/11 cooperated with the Zionists, actually. It was a cooperation. They gave them the perfect excuse to denounce all Arabs. Victor Davis Hanson (September 15, 2007). Scapegoats yet again. The Washington Times, LLC.. Retrieved on 2008-10-13. There's a direct correlation, we've found, between the demonization of Saddam, and violent acts against Arab-Americans in this country. This page was last edited on 4 June 2018, at 22:13.